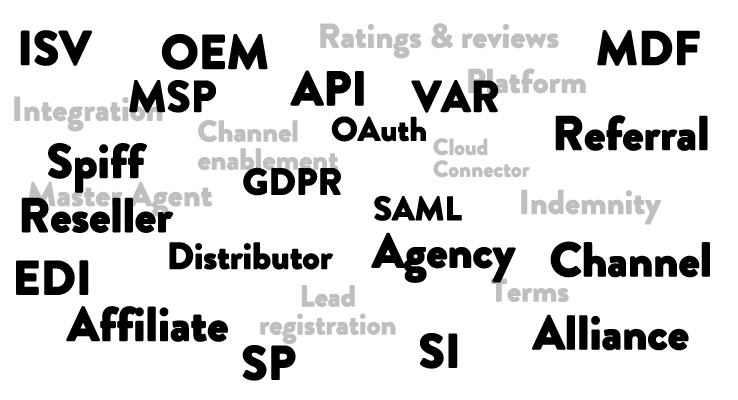 The Cloud Software Association, the SaaS partnership network, is proud to announce our new SaaS partnerships job board, which solves one of the most difficult challenges of being a SaaS partnership leader: looking for a new job. Looking for a new job as a SaaS partnership leader is surprisingly difficult. Here’s a quandary. Despite meeting so many powerful companies, how does a partnership professional ask their own partners about career opportunities? Your job is to negotiate on your employer’s behalf. But if you tell people you’re looking to move, it raises the question: what is going wrong at your company? Your partners who need to make big bets on your company might get skittish. They might gossip. Your deals get tougher to close. Your job performance wanes. If you can’t find a new role quickly, you’re in a weaker position. So SaaS partnership leaders tend to be coy when looking for work, ironically stuck wondering how they can negotiate their own future. Furthermore, companies who are hiring partnership leaders are desperate to find qualified talent. It’s a difficult skillset to develop, especially at the managerial and executive levels. A great partnership leader has built a powerful personal network out of solid experience. They must be comfortable executing technical, marketing, sales, legal, and financial projects. As the SaaS partnership network, the Cloud Software Association we know the right people. Over 2,000 people. We’re happy to announce our new job board, open for any company to post their partnership roles. We’ll share your partner positions with our network. We are also building a 100% confidential candidate pool. As your trade association, you can trust us to keep your career hunt private. And uniquely, if you are interested in applying for a job where you might have a conflict, the Cloud Software Association will play matchmaker, ironing out the awkwardness of applying to your own partners. We’ll only share with employers enough context to decide if they are genuinely interested in your application before telling them who you are.